I have always chosen easily accessible wine from the supermarkets and Majestic, but it’s time to admit that I also go to a renowned wine merchant in Basingstoke for much of my wine. A few years ago, I bought several vintages of a good claret to do a vertical wine tasting for some great clients in Lincoln’s Inn. I collected this parcel from Berry Bros & Rudd at their distribution centre in Houndmills just of the A339 near Basingstoke. Next to this centre, BBR have a warehouse store, which houses the last wines of a vintage and various odds and sods. Heaven! 20-30% reduction of some cracking wines. The whole world is represented, and some great spirits. For anyone who takes their wine drinking seriously, this is a must. Going to BBR a few days ago, supermarkets seem a little drab. No knowledgeable young guys and gals to help you, no atmosphere of excitement and discovery. It is a long way to go if you don’t live near to Basingstoke, but well worth a day out. Having said all that, I’m presently on a dry(ish) January. I decided that it was time to cut down a bit, and a routine medical confirmed that this was a good idea. I fully intended to write about alcohol-free wines but, the conclusion is, don’t buy them. I have tried most and now I stick to a weak spritzer with plenty of lemon zest. 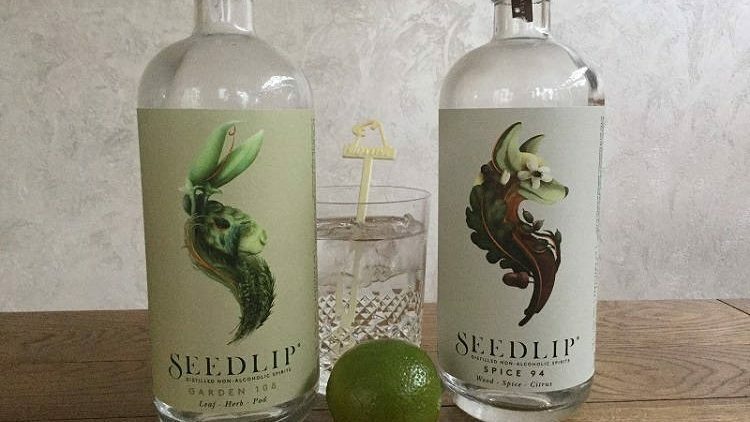 I also tried alcohol-free spirits especially the Seedlip duo, Spice and Garden. Still not convinced, but the cucumber flavoured Garden can make a nice drink. Whilst I don’t really see the point of it, it is on offer at Tesco for £20, down from £26, if you’re interested. My view is, if you are going to do a ‘Dry January’, just take the medicine and then come February, enjoy the fermented grape juice again, and enjoy it all the more!